Where do you like to relax at the end of a long, hard day? No doubt on a favorite chair, recliner, or your own spot on the sofa. But would it be your favorite if you could see what’s lurking on and beneath the upholstery? Oh, and before you go sitting and lying on your carpets, keep that same (not so pleasant) thought in mind! And now for the good news. 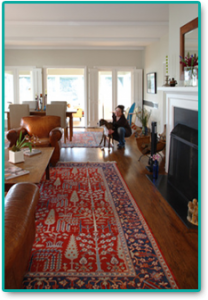 At Fiber Clean, we know how much you care about your upholstery and carpets. That’s why we apply all of our skill and experience toward keeping them clean and free from dirt, dust mites, mildew, and other allergens. Purchasing new furniture is not an easy decision, and it’s usually not a minor expense. But throughout Central Connecticut, Fiber Clean will help protect the look and longevity of your carpets and furniture. Our environmentally friendly upholstery and carpet protectors will preserve colors and surfaces, and give you more time to clean up a spill before it becomes an unsightly stain. We also clean floor tiles, and all of our services are available for your home or office. 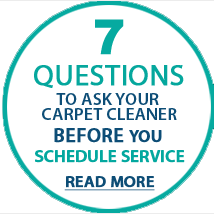 When you have Fiber Clean taking care of your Central Connecticut home or office, you can rest and your head – and have your children play – on any carpeted or upholstered surface with supreme confidence, and absolute peace of mind. We proudly provide our Carpet Cleaning, Upholstery Cleaning and Tile and Grout Cleaning services in the following communities: Avon, Beacon Falls Berlin, Bethlehem, Bristol, Burlington, Canton, Cheshire, Collinsville Cromwell, Farmington, Goshen, Harwinton, Litchfield, Middletown, Morris, Naugatuck, New Britain, New Hartford, Newington, Northfield, Oakville, Plainville, Plantsville, Plymouth, Prospect, Rocky Hill, Simsbury, Southbury, Southington, Tariffville, Terryville, Thomaston, Torrington, Unionville, Waterbury, West Hartford, Wethersfield, Wolcott, Woodbury.